Fertilizer: all purpose blend monthly spring and summer, blossom booster to encourage blooms. 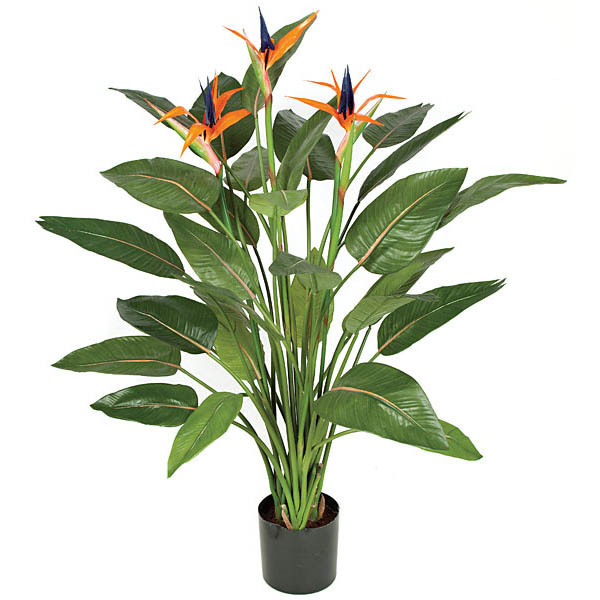 A slow growing plant, but one that is very satisfying to grow, this bird of paradise plant adds a tropical feel to any decor. It is tough, durable and very adaptable. Usually blooming begins after at least three years on mature plants with at least eight large leaves and with good light.